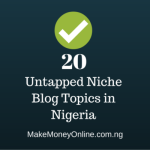 In this guide, I’ll show you how to make money from blogging in Nigeria and elsewhere around the world. I have personally made over $5,000 on average from blogging every month from Google AdSense, affiliate marketing, e-book sales, direct services and events. 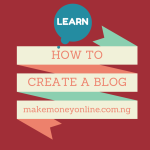 And that’s exactly what I’m going to show you here… how to make money from your blog in Nigeria. Blogging is currently a buzzword on the internet these days with over 2million websites talking about it. But despite the huge discussion on this topic, most people do not still get the gist or know how to make money from it. For me, blogging is a business of publishing helpful articles on a web blog. A typical example is this article you are reading right now. It was written and published by a blogger. Now the question is, can you really make money from blogging? If yes, how? Don’t worry, I’ll break it down for your understanding. 2. Buy Bluehost and Bluehost and install WordPress blogging software. 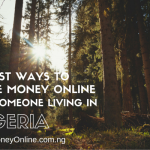 Now that you have a blog, let’s see how you can make money from it. Read this first: What is a Blog and how Can You Make Money from it? Your new blog is just like an empty classroom. It’s virtually empty until you start attracting readers to read your articles. How do you attract blog reader? Let’s see in the next section. 1. Publish only original article so that search engine will agree to rank your blog. Of course you know that the greater part of blog traffic comes from search engines. And you can impress them by publishing insightful articles on your blog. I have details on this topic on my ebook – grab it here. 3. Share your post on social media like Facebook, Twitter, Google Plus and others. 6. Make sure your site and article are SEO friendly. Now it’s time to make money from your blog. Here are few blog monetization strategy you should adopt. These includes ad networks like Google AdSense. 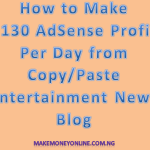 Use Google AdSense: This is one of the easiest method to make money from blogging. You will get Google AdSense approval fast if you publish only original article on your blog. After approval, you can make money from Google AdSense by inserting the ad codes on your blog to generate earning. The amount of money you’ll make from AdSense depends on the amount of web traffic you get. Other advertising options includes ambassadorship, job board, RSS advertising, text links, video advertising and so on. You can make money from blogging by inserting affiliate links on strategic positions on your articles. You’ll make sales commission once your readers make purchase from your links. It’s really a fun way of make money online. You can make money from blogging by selling products like e-books, software, or apps. Other things you can sell are courses, reports, and other printables. You can make money from blogging by selling premium services to your readers. I personally make few bucks helping my readers to host blogs for them. I also write and sell articles, do blog customization, SEO and more. See the the list of my services in the hire me page. 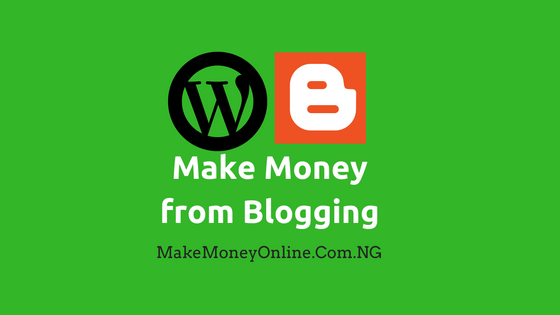 You can make money from blogging by turning your blog into a paid membership website. Members can then pay membership subscription on monthly or yearly basis to have access to exclusive (members only) contents. 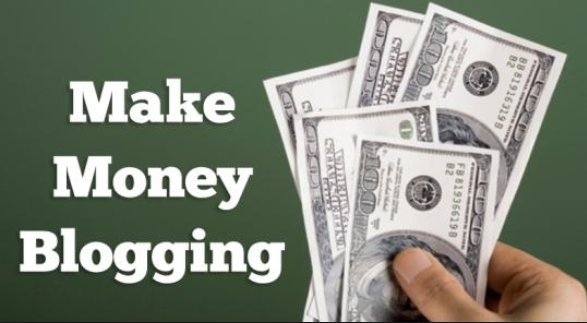 This is another fantastic ways to make money from blogging. Your blog and like a market that attracts advertisers. Once you have huge amount targeted traffic on your blog, advertisers will come seeking spaces to advertise their products or services. You can make big money from selling advert spaces alone. 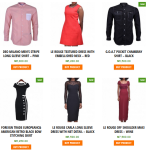 Just like digital products, you can also make money from blogging by selling physical products and allow your readers to buy the products if you have logistics in place to do home delivery. You can also sell teaching materials or merchandise. All of this will put money in your pocket just because of blogging. You can make money from blogging by starting coaching services for your readers. I personally have about 4-5 students every month enrolling into my coaching program. Each participant pays N120,000 (about $380). That’s a good money if you have many students in the program. As a blogger, you can grow your reputation to the level you’ll start receiving invitations to feature in high value events or seminars. You can make money by charging fees for your presentations. You can also make money by creating your own events and allowing participants to pay to join the events. It’s getting very easy to turn your blog into an iPhone or Android apps these days. You can make money from your blog by monetizing the your blog app separately. 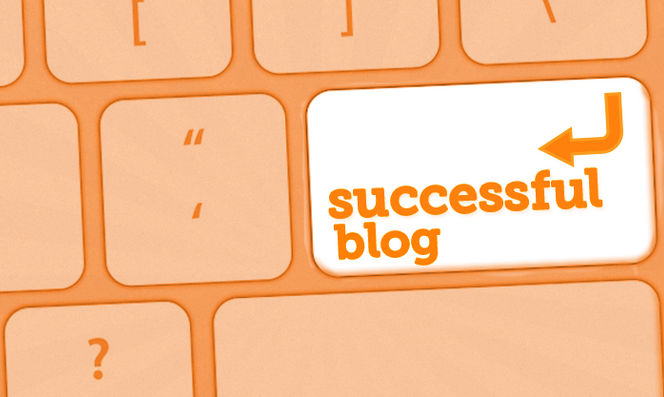 There will be a time your blog will speak for you. You can then consult for others due to the wealth of knowledge you have on the topic you are blogging about. Bloggers also earn money from donations from friends and we’ll wishes who wish to appreciate what you are doing. I got this luck before when one lady reader in Abuja called me and requested my account number. What she did later will amaze you! Blog can grow to become a very valuable online real estate. You can decide to sell off your blog if you don’t wish to continue with it anymore. The amount of a fully developed blog could be mouth watering. If you have offline businesses such as boutique, shops, etc., you can use your blog to promote it. 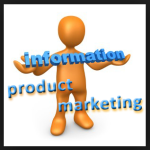 Promoting your products and services on your blog will lead to more awareness about your business. Of course you know that that more customer equals more money. Let me know what you think about this lesson. Use the comments section below. Don’t forget to share it. Use the share buttons below.